Emergency dentist in Edmonds, Washington can be difficult to find. When you are looking for them it is usually during the worst possible moment. Of course it is, you are in pain and having to deal with anything when you are not feeling yourself is simply not fun at all. Emergency dentist are out there and it is our goal to help you find one that you can get into 24 hours a day. Soon after doing so you will be back to feeling better. 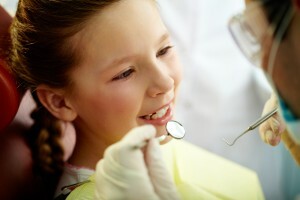 24 hour dentist Edmonds, WA are what we specialize in. We are not the dentist but, we are those that find the dentist for you. They are all listed below and we also give you the answers to your question of where, what, when. This helps you get to the dentist as soon as possible so that you can get to feeling better as soon as possible. Our goal is to help you in any way we can. Description Call our Edmonds referral service Emergency Dentists USA phone number and get connected to an emergency dentist in Edmonds, WA in seconds! We provide a service that will get you to the dentist that fastest and easiest way possible, you can call us 24 hours a day, 7 days a week and its 100% free! At Avenue dentist we work in a high tech environment to make your smile sparkle. We have an office of dedicated staff who are just waiting to put you at ease while you are being mended back to your normal self after an emergency tooth issue. We also work to treat people through dentistry who have sleep apnea. Give us a call today and we will get you on our schedule. At Complete Dentistry you will find yourself in the great hands of Dr. Etue and his staff. They are warm, friendly and make you feel as if you are at home the moment you enter the office. Be prepared to leave with a sparkling healthy smile as they work on both cosmetic and family dentistry. They will help you with every aspect of your dental care in between. Give them a call to get on their schedule today. Our office is for both cosmetic and family dentistry to help you get that sparkle that you deserve. We are a warm and caring family dental office. That means we work with patients of all ages from 0-unlimited. Come in and see us today and you will not be disappointed. First, if you are having a procedure or emergency tooth extraction Edmonds, WA make sure you plan the appointment on a day where you can have someone drive you from the appointment for the safety of all. Next, you will want to have all of the forms filled out, proper accepted insurance card with you and any money needed for services rendered. Lastly it is important to make sure that you don’t miss you emergency dental care Edmonds, WA without canceling to save yourself money cause you most likely will be charged without 24 hour notice. Once you go to your emergency dental Edmonds, WA you will be back to yourself soon. When you are looking for the right walk in dentist Edmonds Washington there are a couple things you can do to ensure satisfaction. The first thing you can do after looking on our website is to talk to all of your trusted family and friends. They will be able to tell you some information about the dentist if they are local to your area. Once you talk to the validate that the urgent care dentist Edmonds, WA is right for you and has valid credentials by checking the local dental society website and running a background check. All of these things will help you get to a dentist that you can trust and that will become part of your family for years to come.